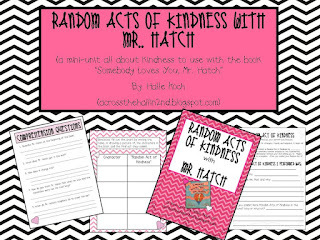 Among a few craftivties I found on Pinterest, I'll be using my new mini-unit called "Random Acts of Kindness with Mr. Hatch" after reading one of the cutest books ever! First of all, does everyone read this book for Valentine's Day??? I found it by chance a few years ago, and thought I was in on this little secret no one had any idea about. But alas, such was not the case. And I get it, it's a really good book, with a cute plot (doesn't everyone have a cranky old man in their neighborhood? ), and an even better lesson to be learned. 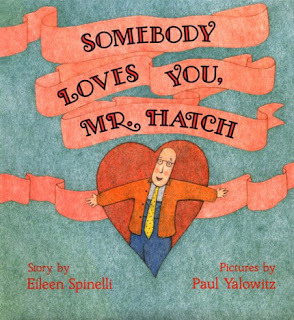 There are so many great Mr. Hatch resources out there. Including the oh-so-cute coupon book from Christina Bainbridge. If you found our blog, you definitely know about hers. She's great. Jenna and I have been fans of hers since before her blog, when she only had a website. Yes. She rocks both. Superbly. Well, she made a cute **free** coupon book to go with Somebody Loves You Mr. Hatch, and I use it every year. Check it out here. (Look under S). 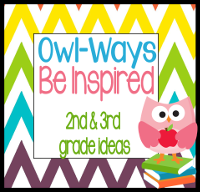 So, even though there are tons of wonderful resources out there, I thought I'd add to the mix. 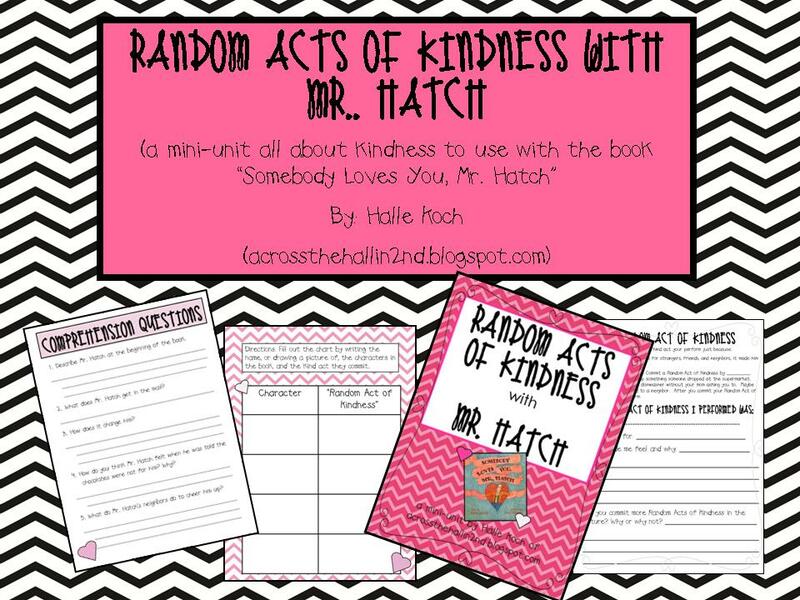 I created a mini-packet based on all the Random Acts of Kindess Mr. Hatch and the other characters commit in the book. I hope you find this, and have time to use it, before Valentine's Day...but it really could be used anytime your little ones need a refresher on the art of being kind. By the way, if you're just stopping by, won't you please take the time to be a follower. Or, leave a comment letting us know you were here. Thanks, and have a good week!! !